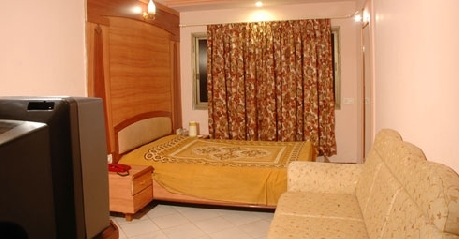 Rangoli Retreat is situated in close proximity to the railway station and reachable to many sightseeing places. 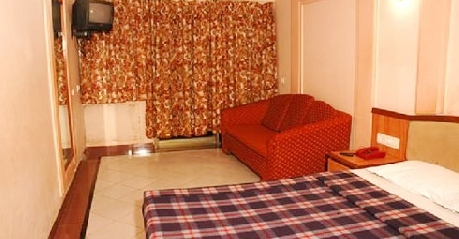 This budget hotel has real value for money with all amenities included for a comfy stay. 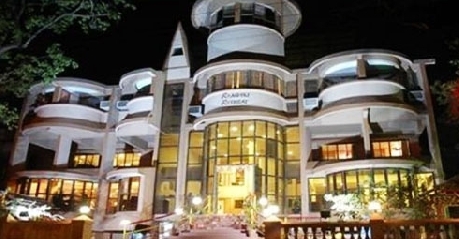 The two storied building has spacious rooms with attached bathrooms, mini garden, children’s play area, income service, travel desk and a pure vegetarian restaurant. The ambiance of the retreat is enhanced by the neatness and politeness of the staff. 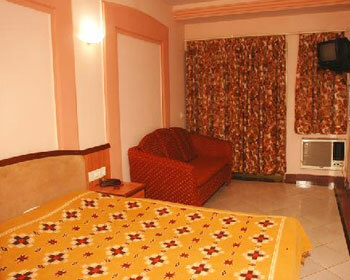 Super deluxe A/C rooms are spacious and can have individual control over the temperature. 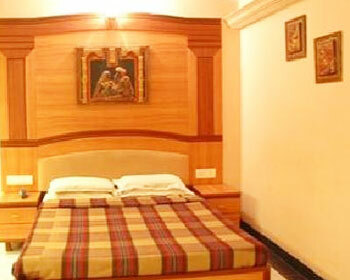 The room is provided with a double cot bed and a sofa to retire. The attached bathrooms have steady supply of hot and cold water. 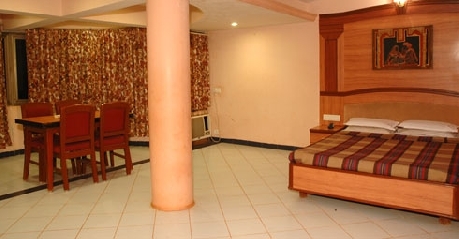 Room service, intercom, satellite television connection in all rooms and travel desk to assist in tours are available. 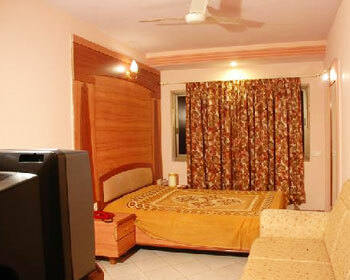 Similar to A/C rooms with the only difference of not having A/C these rooms are comfortable accommodation for two. Room service is available round the clock to render any help needed. Safe deposit box are available to guests and can be made use of with assistance from front desk. Indoor and outdoor recreations like carom and tennis are available. A/C suites are spacious and can accommodate more than two adults and a child. Equipped with colour television, sofa, room service, laundry service, safety deposit boxes, doctor on call, travel desk and telephone. Children’s play area, mini garden are places to relax and enjoy the climate. Rangoli Retreat has an internal kitchen which serves only pure vegetarian dishes for its guests. 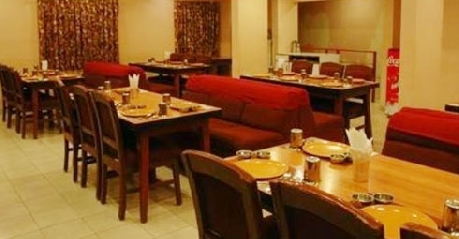 With a seating capacity of 40 the dinning provides Guajarati thali and Jain food to its guests. There are timings for the restaurant during which lunch and dinner are served. It is requested of the clients not to bring outside food.